Whether it’s pouring with rain or hot and humid, spending time outdoors is bound to have an effect on your hair. Combatting frizz on a normal day can be hard enough but without conditioning products or the use of straighteners, it may seem nearly impossible to tackle at a festival. There’s no need to stress though as we’ve come up with a few ways to help combat frizz both before you set off to a festival and whilst you are there. Before setting off to your chosen festival, wash your hair and dry it with our Keratin Volume & Protect Air Styler. Sometimes using a hairdryer can make your hair dry and prone to heat damage but with this styler, you can smooth your hair from the roots to the tips with the collection of useful attachments. Featuring ionic conditioning that will smooth hair and give it shine, the cool shot feature will also help set your hair in place. Washing your hair may not be an option but you can still keep it smooth and shiny with a touch of nutritious Argan oil. Place a drop in your palm and then distribute it evenly to the tips of your hair. Avoid putting it too close to your roots as it can make hair go greasy. 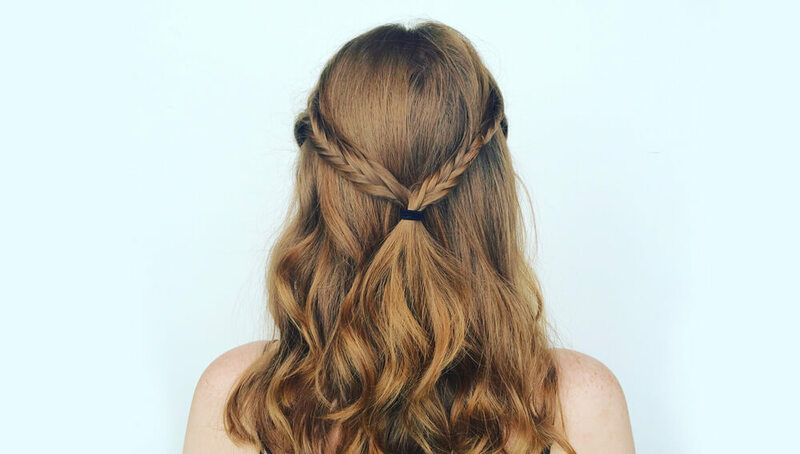 If you get to the final day of a festival and just can’t seem to tease out those tangles or smooth down those fly-aways, style it in a simple braid. Hair with a bit of frizz is ideal for braiding and braids will also transform your roots from greasy to sleek in seconds.